The first, second and third series had the original superstructure with minor distinguishing features between them. The fourth series had a redesigned superstructure (with commander's cupola and ball mount for MG in the front plate) that was moved slightly back. 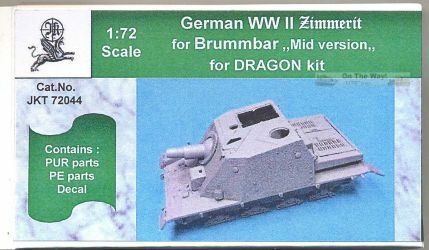 Dragon's "Mid version" (7242) represents a vehicle from the third series, where the best identifying features are the original superstructure, and (compared to the first and second series) the large collar for the gun and lack of driver's visor. All of these were produced in the period where Zimmerit was mandatory. Unfortunately, except perhaps for JK Resin, the Dragon kit does not come with Zimmerit, even though the boxtop shows it and Dragon is entirely capable of replicating Zimmerit. 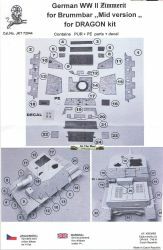 As the instructions already show, the JK Resin set contains a large number of parts, some in wafer thin resin sheets (to the point of being translucent), comparable to JK's general Zimmerit sheets, and more traditional resin replacement parts. I think it would be safest to add them to the Dragon parts using varnish, instead of glue, as the glue might be too thick and spread out unevenly, ruining the quality of the resin parts. Note that due to the fragility of these parts it will be very easy to replicate damaged or chipped Zimmerit. I dry fitted a few of the parts and the fit is excellent. The cutouts (for the gun mantlet, return rollers, etc.) are exactly where they should be and the dimensions are spot on. 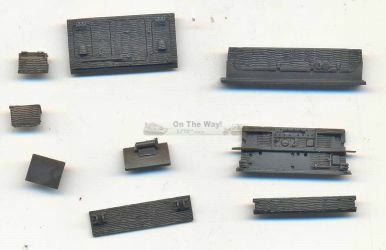 Note that these resin parts contain some of the small protrusions (like pistol ports, fuel filler lids, ...) that the Dragon parts also have, which mean they have to be removed from the plastic Dragon parts before installing the resin Zimmerit (something the instructions don't point out). Below are the replacement parts. Again, I dry fitted a few parts (stern plate, glacis) and the fit is again at least as good as for the original parts while detail is as crisp as one could hope for. 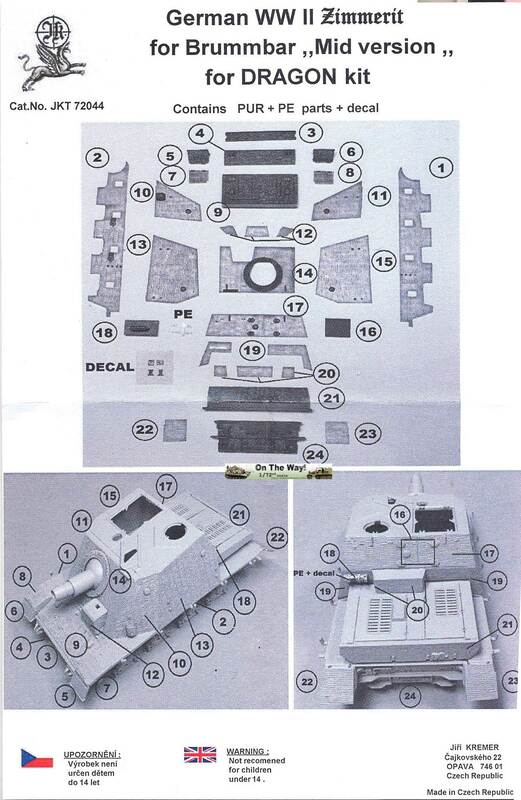 Note that the parts above also contain a fire extinguisher that JK released as a set and comes with a PE part and decals, which is something that raises the detail of the kit to a new level. I am not easily impressed, but this set has left me in awe. I can only hope that JK continues to provide Zimmerit for all the kits out there that are bereft of these little striations. Perhaps one day we might even see a set for a French Sherman. Review sample kindly provided by JK Resin.